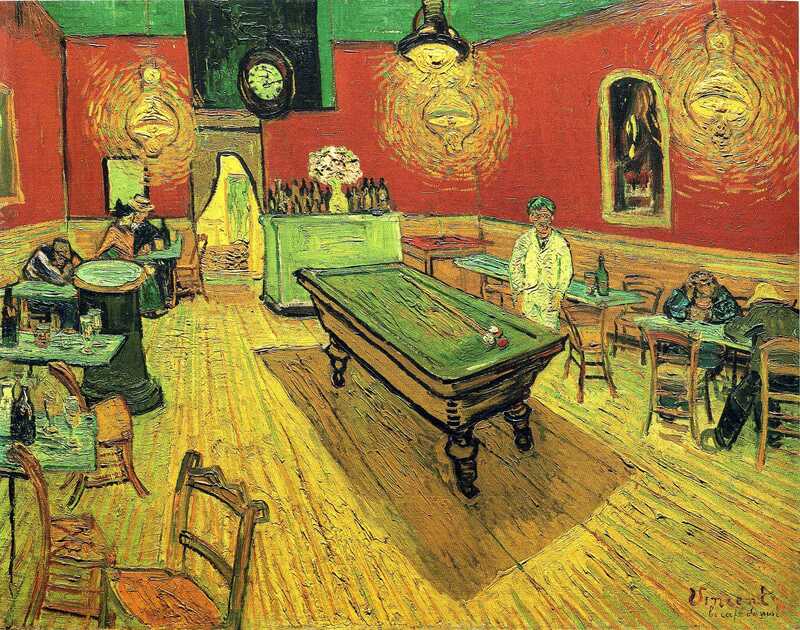 Another painting by van Gogh, but how different are its greens… one can hardly believe that we can use one word to name these colors. 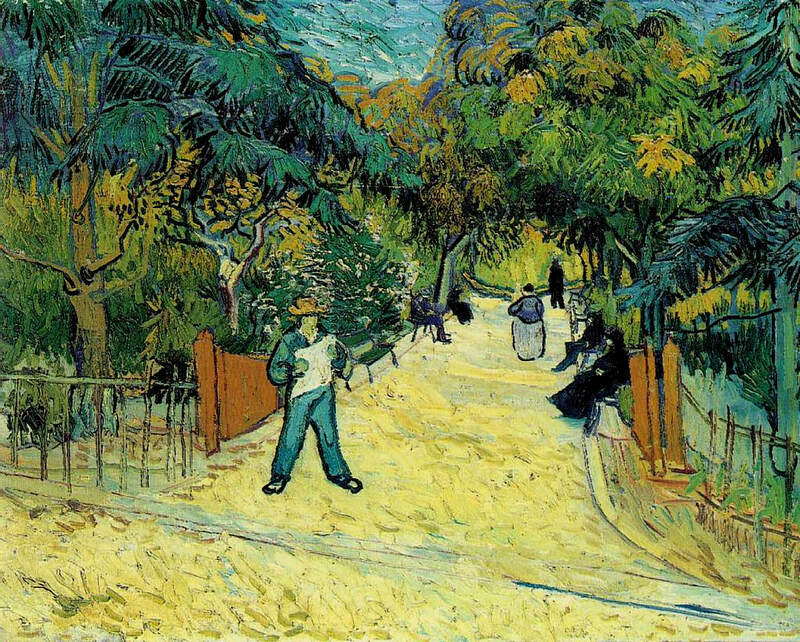 A park or an alley in a town park in Arles, with black people on benches on the right and left, a blue newspaper reader in front and a violet woman in the back, beneath and among blows and slashes of tree- and bush-green. Yesterday, we looked at a green that was deep and utterly shallow in artificial wakefulness. Today, it is tree- and bush-green in full sunlight. Compare the greens of the park with the greens of the night cafe. What is it that makes them so radically different? And all this lies out there with the generosity of a born landscape, and casts forth space. <….> But the morning was bright. A broad east wind invading us with a developed front, because he finds the city so spacious. On the opposite side, westerly, blown, pushed out, cloud archipelagos, island groups, gray like the neck and chest feathers of aquatic birds in an ocean of cold, too remotely blissful barely-blue. 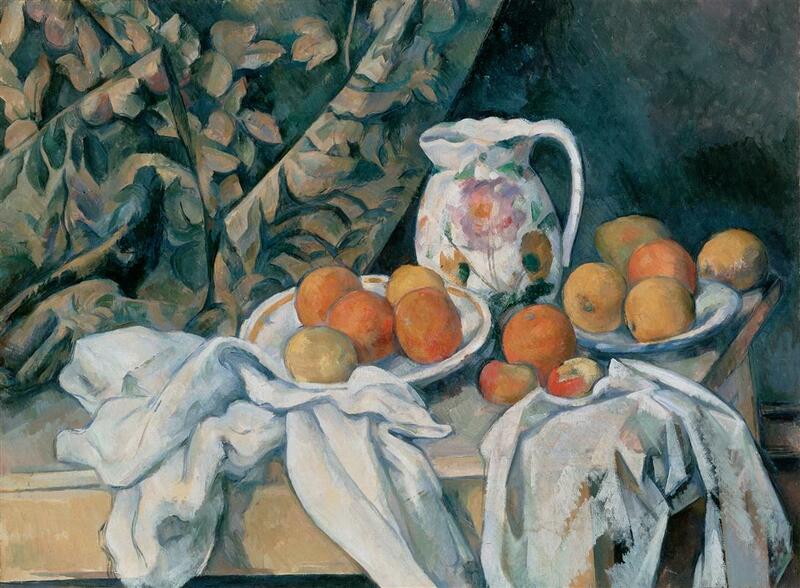 Paul Cezanne. 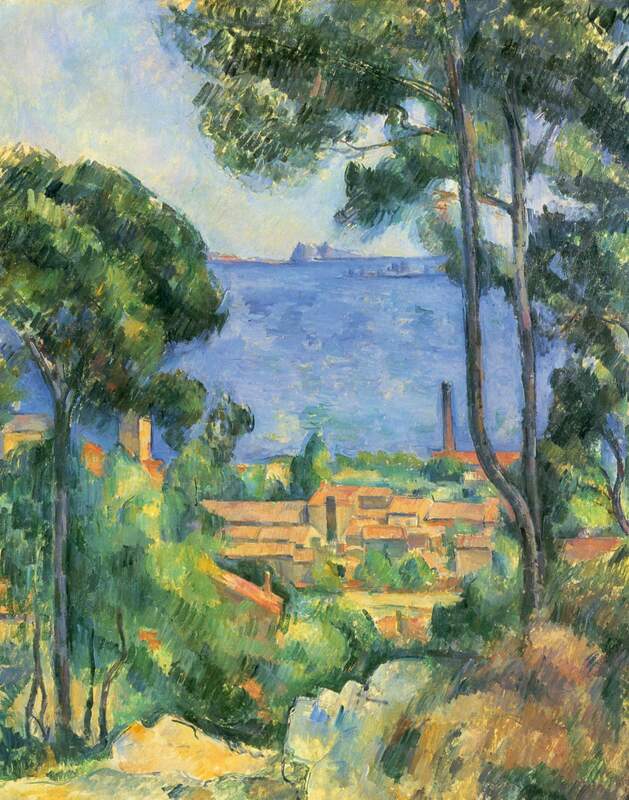 Ile de France Landscape. 1880. And underneath all this, low, there’s still the Place de la Concorde and the trees of the Champs-Éysées, shady, a black simplified to green, beneath the western clouds. 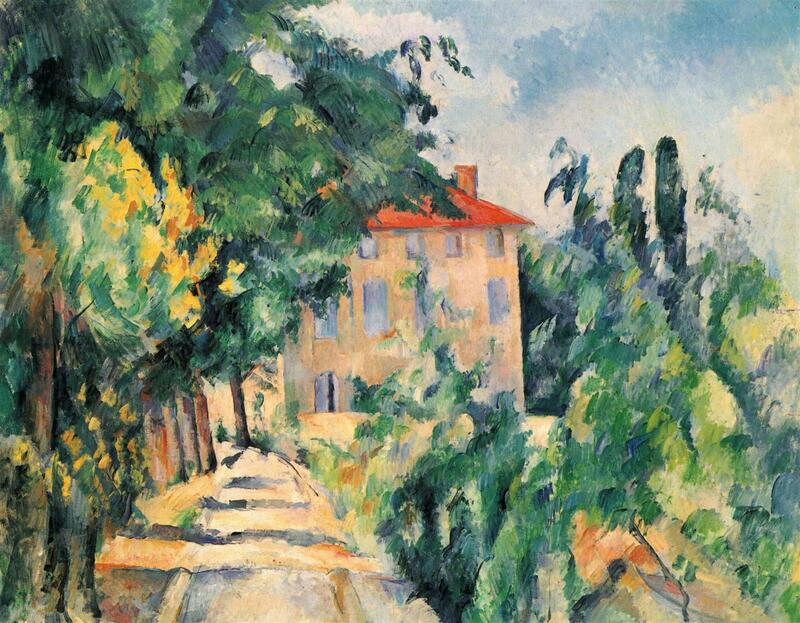 Toward the right there are houses, bright, windblown, and sunny, and far off in the background in a blue dove-gray, houses again, drawn together in planes, a serried row of straight-edged quarrylike surfaces. 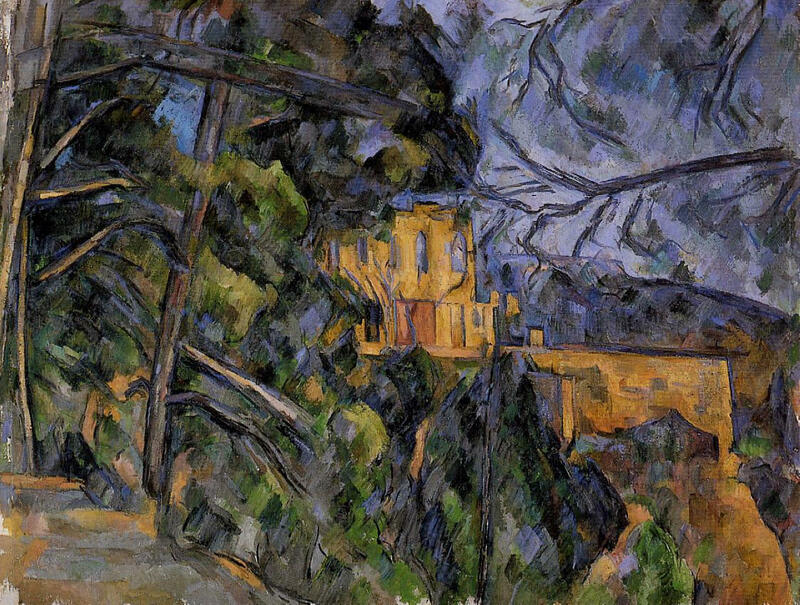 Pau Cezanne. Bibemus quarry. 1898. And suddenly, as one approaches the obelisk (around whose granite there is always a glimmering of blond old warmth and in whose hieroglyphic hollows, especially in the repeatedly recurring owl, an ancient Egyptian shadow-blue is preserved, dried up as if in the wells of a paint box), the wonderful Avenue comes flowing toward you in a scarcely perceptible downward slope, fast and rich and like a river which with the force of its own violence, ages ago, drilled a passageway through the sheer cliff of the Arc de Triomphe back there by the Étoile. 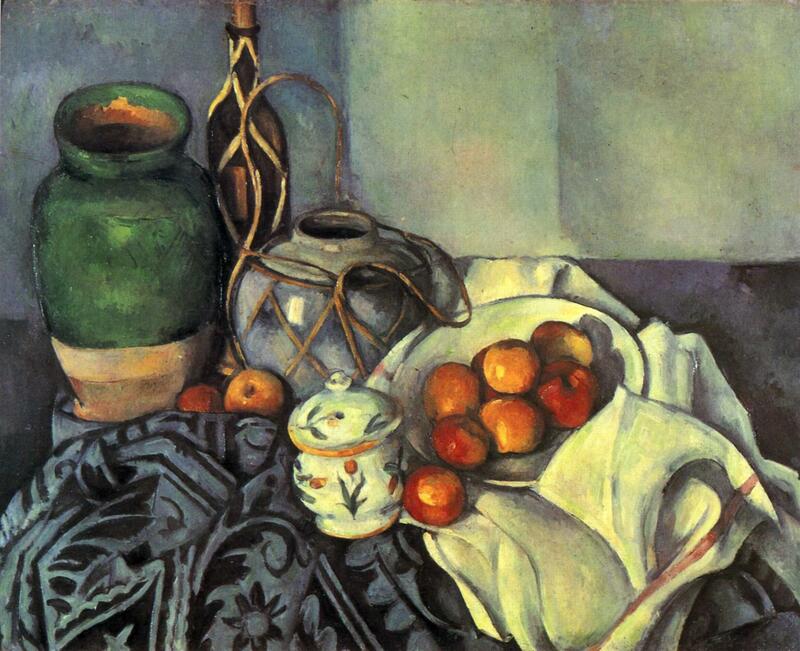 Paul Cezanne. House with red roof. 1890. And from the roofs, there and there, the flags keep rising into the high air, stretching, flapping as if to take flight: there and there. That’s what my walk to the Rodin drawings was like today. As a painter, I know how to make landscapes out of paint. It is my craft. But Rilke’s landscapes made of words are pure, breathtaking magic. 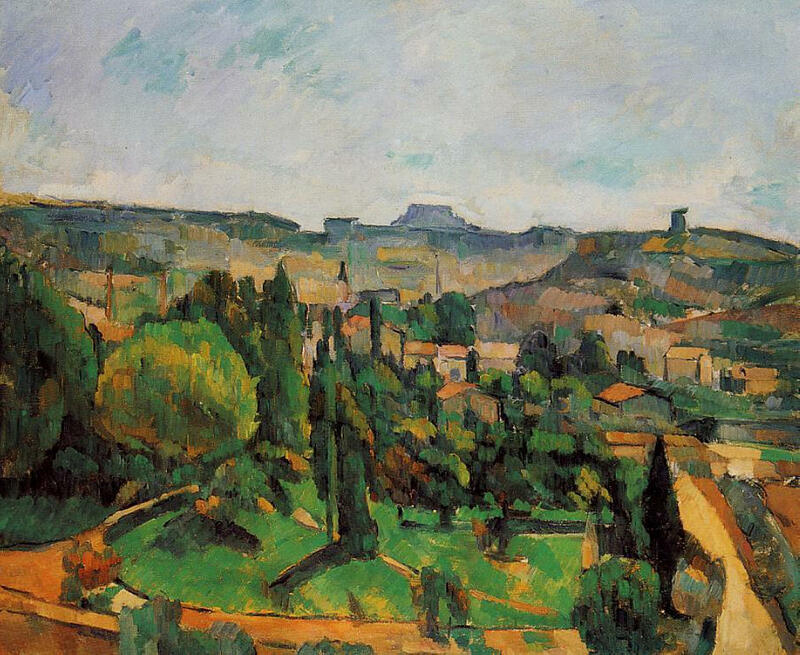 I SEE how his words arise from a synergy with Cézanne’s color planes — and I did my best to share my vision with you with the paintings included in this letter. I do see, but cannot even remotely understand. 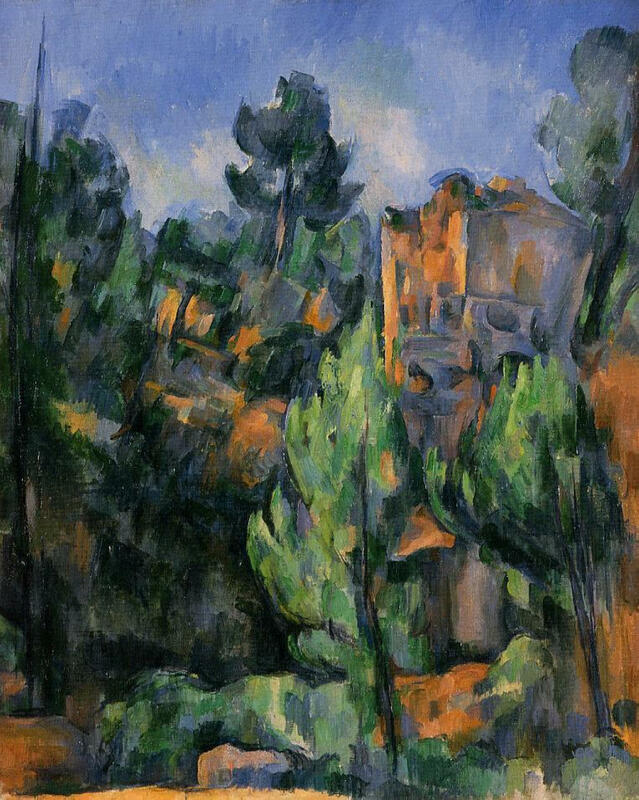 Between Cézanne’s colors and Rilke’s words, the landscape itself — any landscape — anything that arises, be it in your vision or mine, turns into a work of art. I sometimes pause to remember this: these “born landscapes” pass in front of our eyes every single moment, and each is utterly unique. There never has been, nor will ever be, this exact constellation of light, point of view, and the spectator’s unique sense of vision. 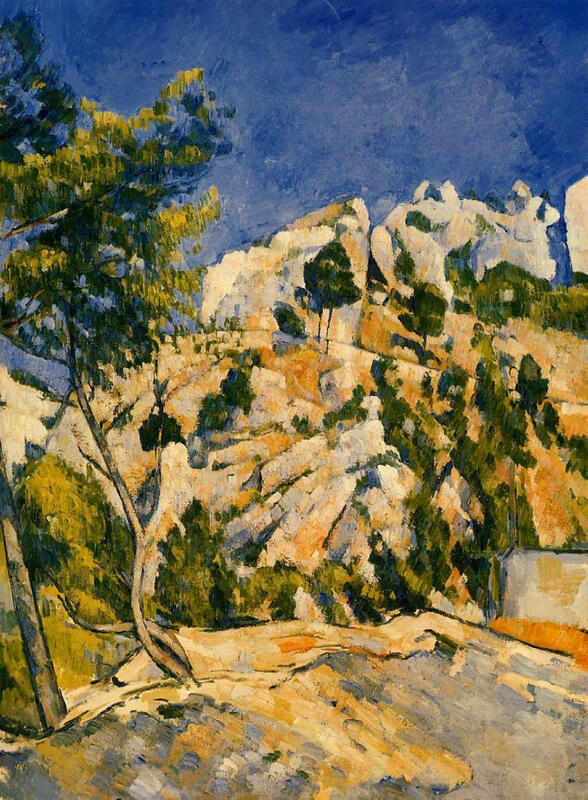 This work of art arises with the generosity of a born landscape, and disappears to give birth to another one; most of them unnoticed, unseen. These landscapes are gifts from Nature, and from countless generations of artists that shaped and expanded our sense of vision. All one has to do is RECEIVE these abundant gifts. A large fan-shaped poplar was leafing playfully in front of this completely supportless blue, in front of the unfinished, exaggerated designs of a vastness which the good Lord holds out before him without any knowledge of perspective. … it was wonderful to come to the quais today, spacious, wafting, cool. In the east behind Notre-Dame and Saint-Germain l‘Auxerrois all of the last, gray, half-discarded days had bunched together, and before me, over the Tuileries, toward the Arc de l’Étoile, lay something open, bright, weightless, as if this were a place leading all the way out of the world. 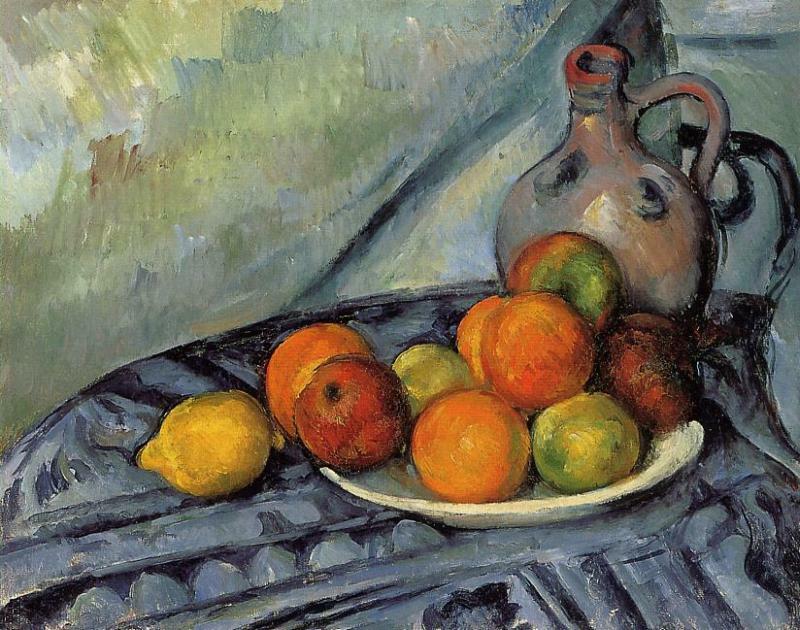 Paul Cezanne. View of L’estaque and Chateaux d’If. 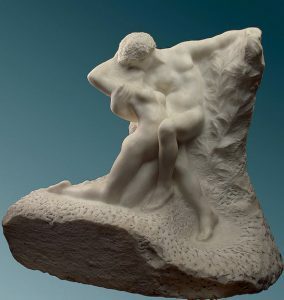 1885. 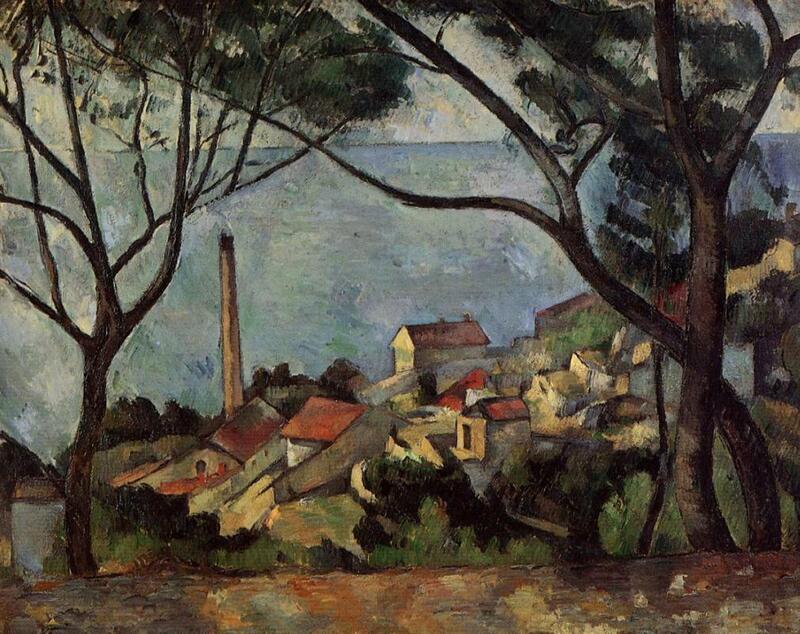 Paul Cezanne. Bottom of the ravine. 1879. Click the image to zoom in on Google Cultural Institute. What is the sky? A blue horizontal plane above us? Or a backdrop, a vertical plane against which we see whatever it is we see, without any knowledge of perspective? How do you think about the sky? How do you see it?